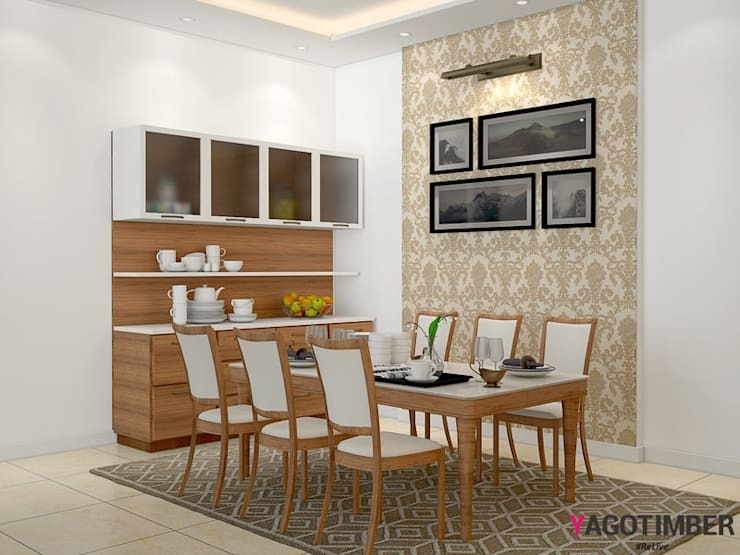 Get Dining room ideas which abouts your family needs in Delhi NCR—Yagotimber. Dining room is not just a place to eat, because when you are here you are a family. Interior designer at Yagotimber have a Wide range of ideas which are simple yet sophisticated for meeting your dining needs. Yagotimber brand has its own online furniture store where you can have a look for various dining table design which can even be customised as per your requirements. Be it the colour scheme, light fitting or the furniture type this brand has it all. For more information on dinning room ideas in Delhi, Noida, Gurgaon, Faridabad and Ghaziabad.